Raising awareness for pediatric cancer has been easier then ever with the rise of modern technology. Social media has become a powerful tool in the fight against cancer and there are many ways we can support the fight. The St. Jude Children’s Research Hospital Walk/Run to End Childhood Cancer will take place in Lincoln Park on September 19th. And on September 20th, CureSearch Walk will be hosting their fundraising walk in Schaumburg, celebrating and honoring children who have been affected by cancer. You can also get involved online. The American Childhood Cancer Organization has resources and fundraisers that anyone can support and give back to. For example, using the hashtag “GoGold” or hosting a local fundraiser are just a couple of ways to show your support. We highly encourage everyone to give back to their local organizations to help find the cure for childhood cancer. Giving back comes in all shapes, sizes and forms but every bit has an impact. We hope you will find something that will speak to you and join us in helping the children and families affected by pediatric cancer! For more information on Childhood Cancer and how you can support, please visit http://www.acco.org. She is a learning and organizational change major but she spends more time in the pool than in the classroom. Ellen Stello, a rising junior at Northwestern University, recently finished up her summer internship with the WeevU social media team and we are so sad to see her go! Ellen has been named captain of the swim team for this upcoming school year, and plans to make this her best season yet! She is a gluten free, Friends addict who loves cheese and peanut butter, and last year she set a record at her school for the 200 yard butterfly. 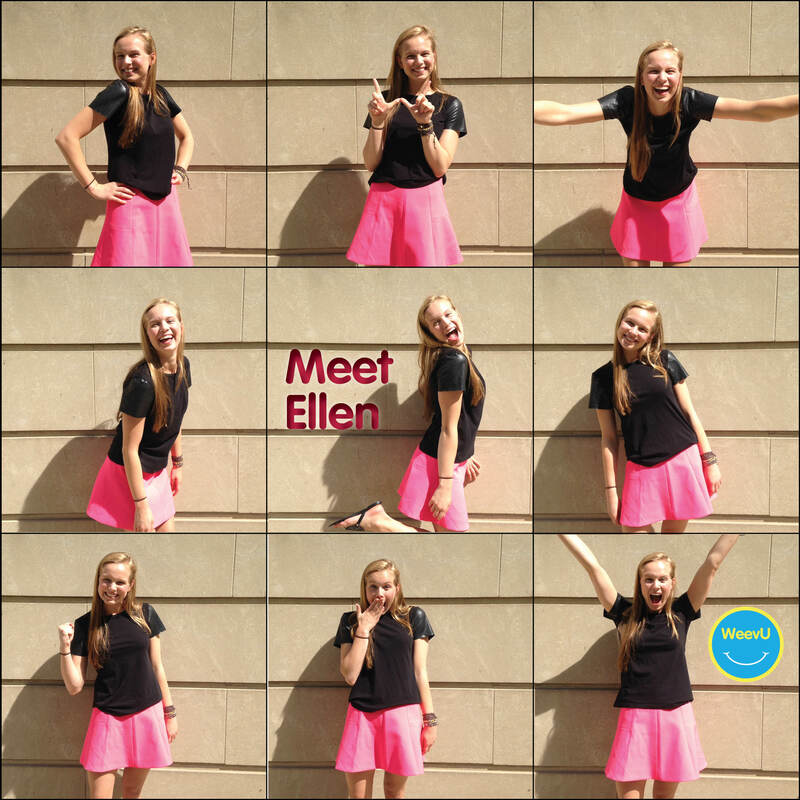 Ellen has a ton of interests outside of swimming, including a passion for fashion. She has a career goal of working with fashion marketing and global fashion management. Ellen found out about WeevU through Northwestern’s athletic program, NU for Life. Kkim, a recent Northwestern grad and a WeevU team member, helped Ellen get connected to the rest of the WeevU team and the director of NU for Life. We have been so lucky to be able to have Ellen as a part of our social media team. She has done so much to help build and maintain our nonprofit relations as well as manage our social networks. She has also generated and promoted a lot of really great content for our social media networks. Ellen says that her favorite thing about working at WeevU is the people. Ellen is inspired by Matt and Steph’s hard work and passion for helping nonprofits. So far, Ellen has had many great moments in 2015. Ellen’s sister got engaged and has set a wedding date for next summer. Ellen is looking forward to helping with the wedding planning and going dress shopping with her sister. Right now Ellen is on an end-of-summer adventure in England visiting her boyfriend’s home. Ellen is really excited for WeevU to launch and to see Matt and Steph’s dream become a reality. We have been so lucky to have the chance to work with her and we are really excited to see what the future holds for her! Steph here! As a co-founder of a startup, I wear a lot of different hats. One of the hats I wear is sales. But instead of calling it “sales,” I prefer to use the term “Relationship Building.” Read on to find 4 simple tips and tricks that I use on the regular when I meet with nonprofit professionals. So important. Don’t be late! First impressions are unavoidable and it’s so important to start off on the right foot. Plan your time accordingly. DO NOT BE LATE. Ok one more time: DO NOT BE LATE! Better yet, show up 5 minutes early. Meet in person! Have a real human connection. Face to face is always better. When you have the opportunity to start a connection or to start a relationship, do so in person. It’s not as easy to gain someone’s trust over the phone. Things get lost in translation over the phone and your personalities are harder to shine through. Listen FIRST and ASK QUESTIONS! What is everyone’s favorite topic to talk about? You guessed it, themselves! When meeting a potential client for the first time, get them talking first and do your research so you ask the right questions. If you’ve already landed the meeting, there will be plenty of time to talk about your product. Get them talking. Ask the right questions and you will be surprised that a meeting turned into a conversation! Always be HONEST! Don’t be pushy or salesy. In order to be likable and relatable you need to show that they can trust you. Have good intentions (that’s the yogi in me talking). So if your potential client asks a question that you don’t know the answer to, be HONEST. Tell them, “Thank you for stumping me. This is how we learn. This is how we improve.” As long as you believe in the product you’re selling, you are good to go. Based on my experience, these are some excellent ways to set yourself apart from your competition. Many of my meetings start with a firm handshake and end with a hug. Show your personality, be humble and be yourself. Many of the panelists at our upcoming Panel Event are nonprofit professionals I established a relationship with using these four tips. I hope to see many of you at our Panel Event on September 29th taking place at the Chicago School of Professional Psychology! I am always excited to meet new people interested in the nonprofit industry and hope to see you there. Steph Strauss is the co-founder of WeevU along with her brother Matt Strauss. She can be reached at steph@weevu.com. Keshet: A Rainbow of Hope for Children and Adults with Special Needs is a nationally recognized, state-of-the-art 501(c)(3) organization, providing community-based educational, recreational, and vocational programs for children, teens and young adults with varying and multiple developmental disabilities. Keshet’s goal is to enable children with disabilities to participate as fully as possible in the mainstream of community life. At Keshet – a Rainbow of Hope for Individuals with Special Needs, Deb Weiner serves as the Associate Director of Donor Relations and Marketing. One of Keshet’s unique attributes is their determination to meet the ever-changing needs for programs/services for participants; therefore, they are continuously evolving and expanding. 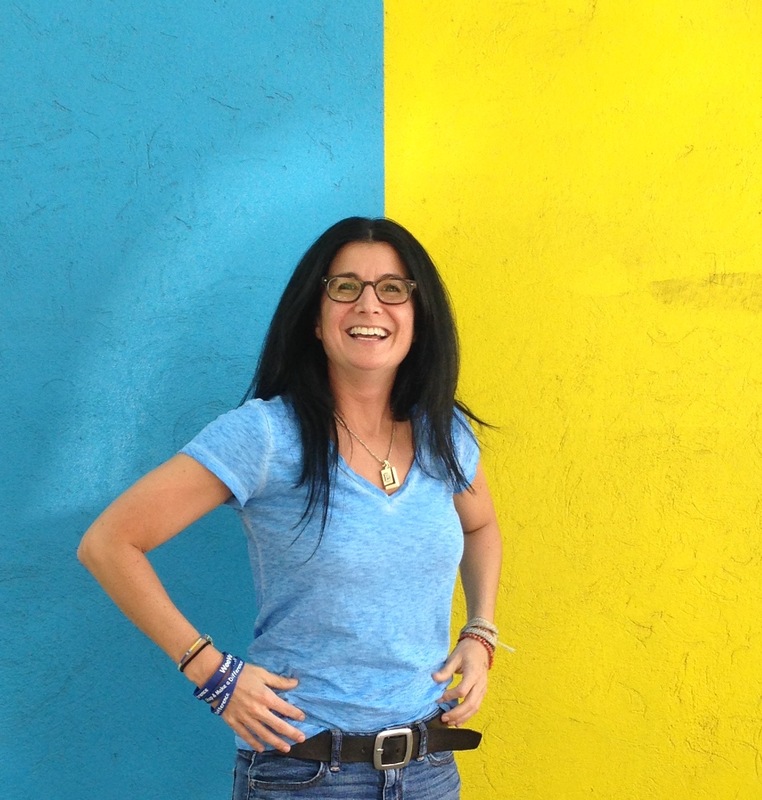 Here are 6 facts about Deb that make her a successful associate director at Keshet! Deb has many duties that keep her extremely busy, like many non-profit professionals. She assists with the management of all Keshet donor relations activities and ensures that donors experience high-quality interactions with the organization that foster long-term engagement and investment. She manages two volunteer boards, oversees all community outreach events, plans and executes Keshet’s marketing campaigns, works with a team of videographers, photographers, and designers to execute additional promotional materials, and runs the marketing internship program at Keshet. 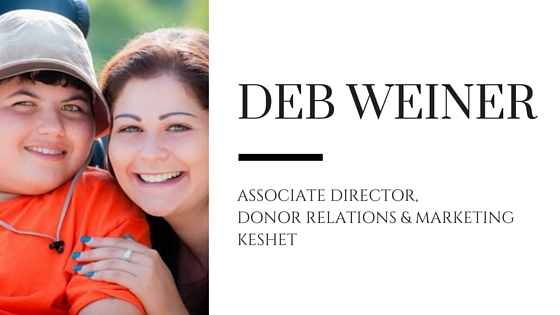 As a leader and advocate of Keshet, Deb uses a ‘lead-by-example’ leadership style and doesn’t take anything for granted. She hopes that those around her see how devoted she is to the organization and her general life path to do good things and to be a good person. “I’m defined by the work I do in the community and making a difference in the lives of individuals with special needs.” That is something to truly be proud of. If you’d like to learn how you can help Keshet do the amazing things they do CLICK HERE! to find out more! If you work for a non-profit or support a non-profit that is very near and dear to your heart, CLICK HERE so we can help spread the awareness they deserve! 3:00am!!! That’s how late we were up a year ago last night in preparation for the launch of our first platform. So much has changed in the course of a year and we’re excited to unveil our new and improved WeevU site very soon. By now, we have personally met with over 300 nonprofit professionals – face to face, real human connections and interactions. Everything is better in person. We would like to thank all of our nonprofits for sharing your stories, successes and challenges with us. You have been our teachers throughout our WeevU journey. 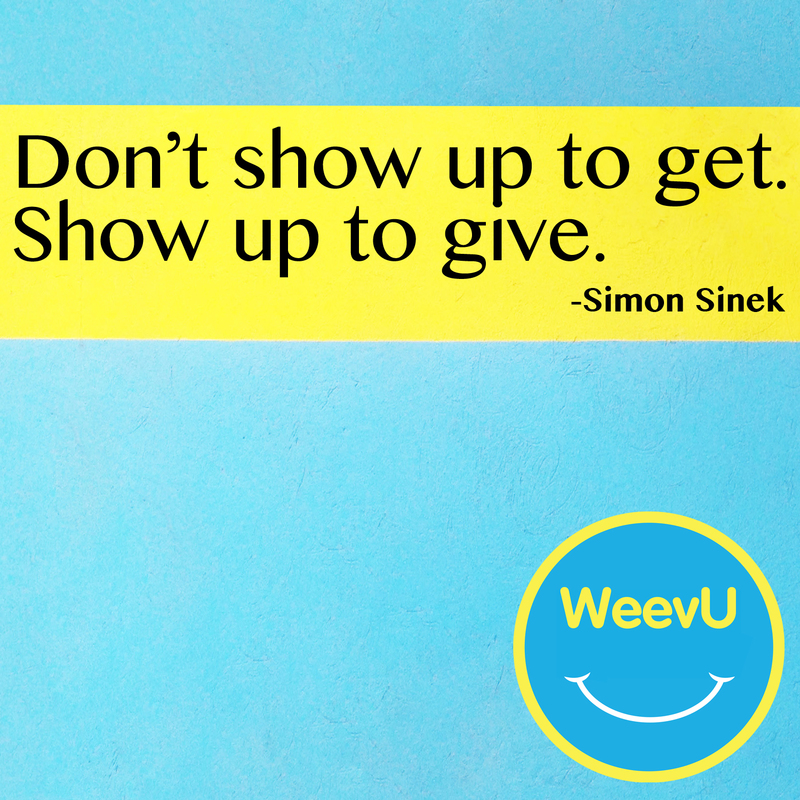 You are the reason why we pivoted to the new and improved WeevU. We are here to make your lives easier so you can focus on your mission! Let’s Weev this world together! These last 2 years have taught us the importance of collaboration and connections. This is the heart and soul of what we do. Connect, collaborate and share! We are excited to start practicing what we preach by inviting you to our first event (of many) where we bring Nonprofits, People and Companies all in one room to connect and collaborate. Come hear from industry experts and grab a bite and drink on us. RSVP here:http://bit.ly/1L9cLPA. 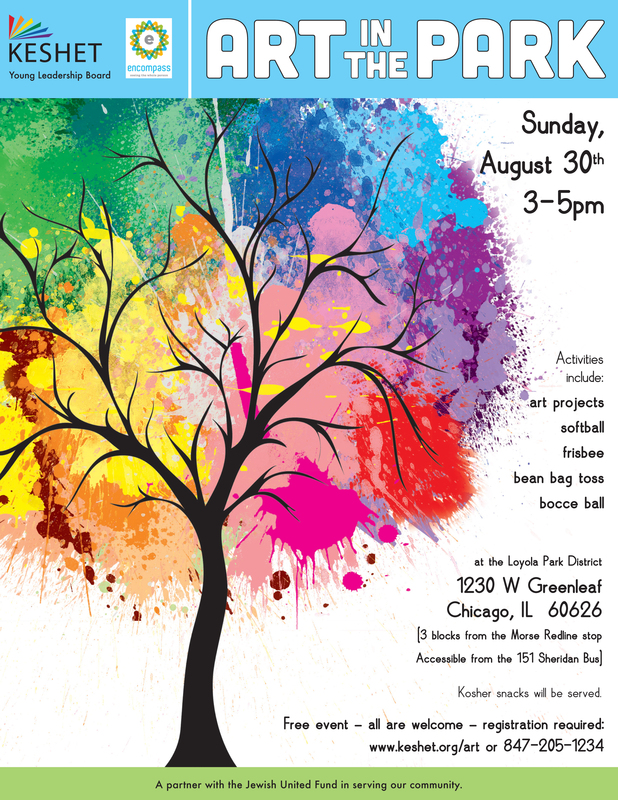 We also want to share with you Keshet’s Art in the Park event taking place next Sunday, August 30th! Join Keshet for fun activities like softball and frisbee in the Loyola Park District while supporting an amazing cause. You can RSVP to this free event at www.keshet.org/art. The Explorer Program, founded by Julius Givens, works to allow students to explore, inspire, and transform their creative and artistic abilities. Arts and music education have been determined to be effective in helping economically disadvantaged students to succeed in school. Of the 1,715 Chicago Public School teachers laid off in the past two years, 159 were in the arts and music departments. Many Chicago Public School students live in negative emotional and physical households and areas. Many students are unaware of the opportunities around them, often made worse with overpopulated classrooms and minimal attention. 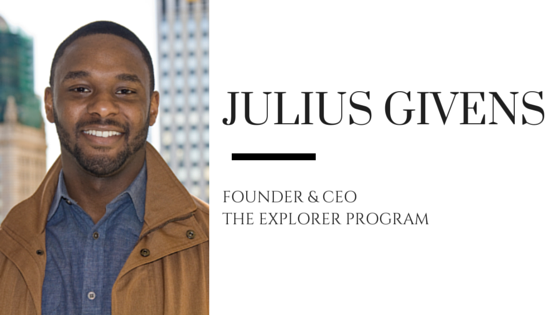 Julius founded The Explorer Program to provide these students with a way to explore and express themselves through a new outlet. The Explorer Program is founded on the belief that art is for everyone and that art can change the world. Julius has been giving back to the community his entire life. He attributes his mother for his understanding of the importance of creating change. To be happy and to make other people happy is his greatest reward. Day-to-day life at The Explorer Program is never the same. However, Julius’ general responsibilities include being a spokesperson for the organization by clearly communicating their vision and how they stand by it, to increase public awareness, and to find the right talent to join their team. Although it is a great cause, nothing has come easy to the program. Like everyone else, The Explorer Program has to start small. Some of the difficulties Julius faced had to do with getting off the ground. He wanted to add value to as many people as quickly as he could and help these students succeed, but he has to remind himself of the benefits of starting small and learning from your mistakes. Julius hopes that his use of art in capturing students’ attention can transfer over to other areas of their lives. His favorite experience so far is noticing the difference in the way The Explorers (students) see the world after their time with The Explorer Program. If you would like to get involved with The Explorer Program, head to their website and get in touch with Julius to see how you can impact the community through the arts. For more upcoming features on non profits in the Chicagoland area, stay up to date with WeevU at weevu.com and be sure to like us on Facebook! This week we caught up with Eva and Rachel at the Chicago Community Trust. They are an incredible organization that has one goal: to make Chicago the most philanthropic city in the world. Their model is intriguing since they have developed advocates that are on the ground to leverage their outreach. After listening to a podcast this week from YELP, we really connected both of these models. Yelp’s goal is to create an incredible experience for their users by allowing them to voice their opinion and be recognized for doing so. The Chicago Community Trust does so in a similar way, but recognition doesn’t come from just voicing opinions. The Chicago Community Trust finds people that are passionate about their city and makes them their on the ground advocates. 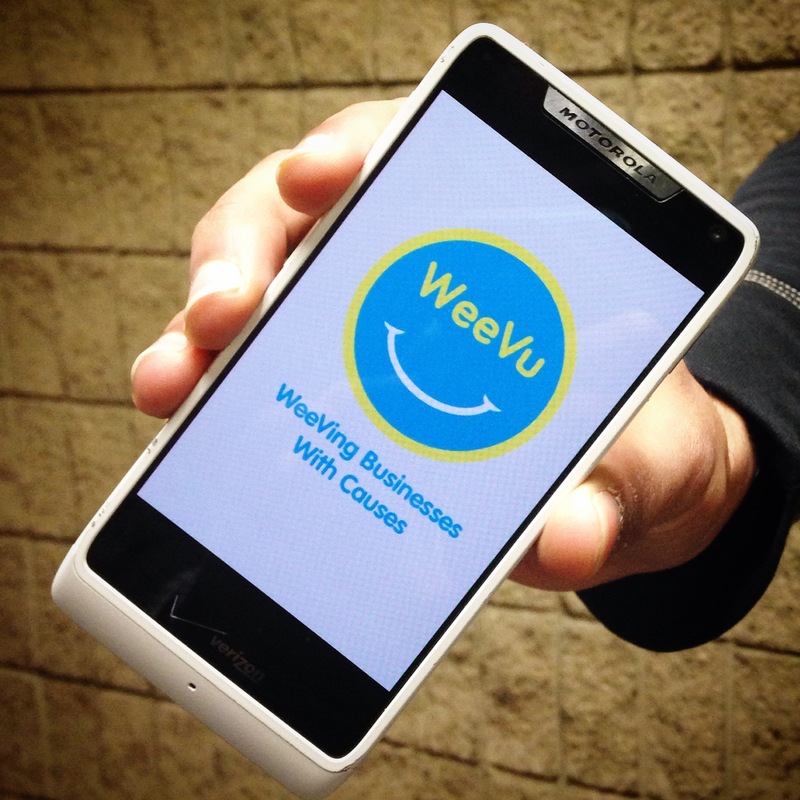 This is how we are aligning our business at WeevU. Referrals are true leads that can change the momentum of your business and/or nonprofit. At WeevU, Yelp and Chicago Community Trust, we are similar but all hold different names for them. The World Chicago 2nd Annual CITCA Summer Reception takes place this August 11th. Register today for the opportunity to network with trade commissioners, foreign diplomats and civic leaders from around the world. On August 8th, head over to The Abbey for Rock the Night for The Night Ministry to see live music and to give back to a great organization! In just a a week, THE Breast Cancer Fundraiser will be hosting their 4th Annual Chicago Breast Cancer Fundraiser at Parliament. Join us for an evening of live music, dancer performances and hear from a special honoree.